Churches and church leaders have been up to some despicable activity in recent days (and years and decades and centuries, as I’ve written about in my books and social media). Austin Heights Baptist Church and Zion Hill First Baptist Church in Nacogdoches, Texas, have enjoyed a partnership more than 48 years. They have worked hard at growing this partnership and friendship. They participate in joint worship services in December and March/April. They also have done joint vacation Bible schools, mission projects, Habitat for Humanity builds, barbecue fundraisers for their local African-American Heritage Project, as well as other projects. 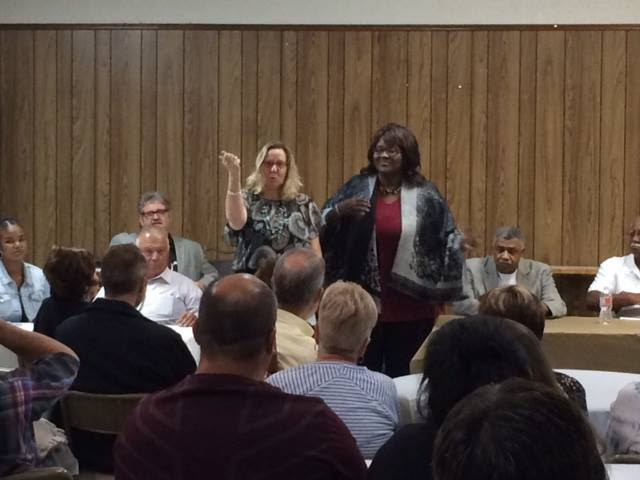 This past Friday night Sept. 21, the two congregations came together to co-sponsor a panel discussion and dialogue on telling stories of life during segregation in Nacogdoches. 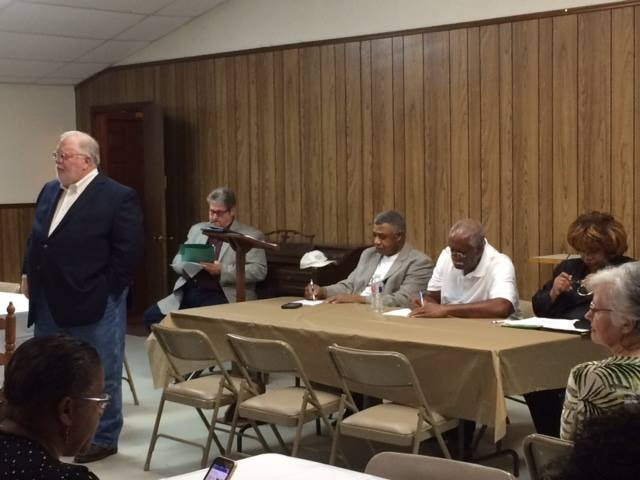 Other sponsors were the East Texas Historical Association, based at nearby Stephen F. Austin State University, and the African-American Heritage Project. A packed crowd gathered to hear three African-American panelists who grew up in Nacogdoches and who told stories of the everyday reminders of racism–separate water fountains, the difficulty of traveling long distances when bathroom facilities were not available to people who were black, etc.–to more violent experiences of police brutality and harassment, to lynching and white economic pressures on successful and independent black farmers. Dialogue followed with stories about the 1970 Civil Rights marches occurring in downtown Nacogdoches and on the nearby Stephen F. Austin State University campus. After the panel and dialogue, participants were invited to stay for barbecue and sides all cooked by members of Austin Heights and Zion Hill. On Saturday, Sept. 22, an all-day event was held at Austin Heights and was co-sponsored by the Region VII Anti-Racism Network of the Episcopal Church, USA. The keynote speaker was Catherine Meeks, director of the Absalom Jones Episcopal Center for Racial Healing in Atlanta. About 80 participants listened to workshop leaders and broke into small groups for story-telling and dialogue. The day ended with a worship service with preacher Nancy Frausto, the associate rector of St. Luke’s Episcopal Church in Long Beach, Calif. and a Dreamer-DACA recipient.